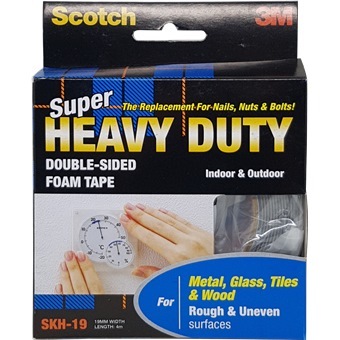 3M SCOTCH SUPER HEAVY DUTY TAPE - SKH-19 ROUGH&UNEVEN (METAL GLASS TILE WOOD) 4M is rated 5.0 out of 5 by 1. 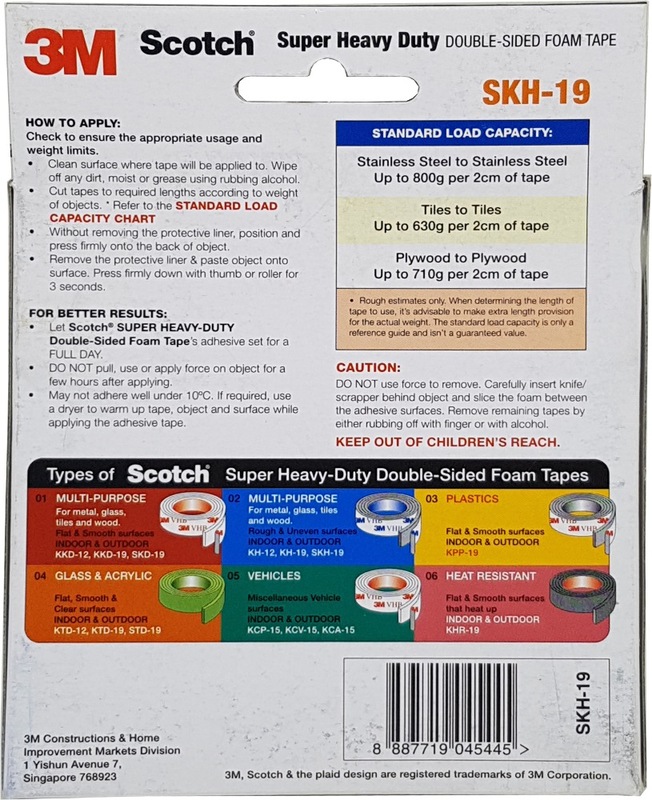 Stainless steel to stainless steel up to 800g per 2cm of tape. 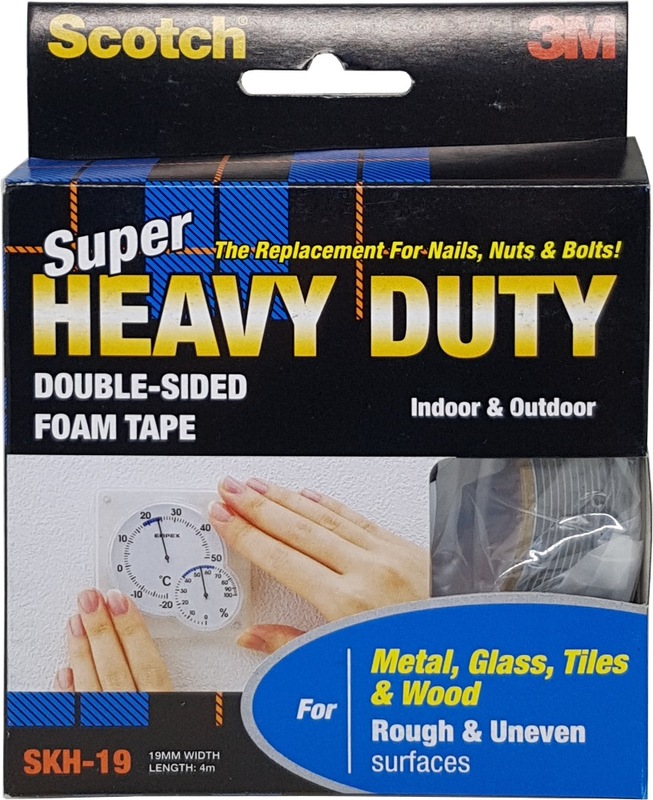 Rated 5 out of 5 by jh Ong from Good multi purpose tape Good multi purpose tape that can stick almost anything and leave no residue behind. moreover its easy to remove the tape. just pull toward to direction (up or down) you are removing.